The Children’s Museum of Eau Claire could have a brand-new downtown Eau Claire home by 2020 if plans by a private developer continue to move forward. The children’s museum is just one component of a proposal from Pablo Properties for what is known as Block 7 site, which is now a parking lot on North Barstow Street in downtown Eau Claire. In late November, the City of Eau Claire’s Redevelopment Authority selected Pablo as the developer for Block 7 and another sought-after plot just south of it, the so-called “liner site” in front of the new city parking ramp. The RDA gave Pablo Properties 90 days to reach a final agreement with the city on developing the properties. If a development deal is finalized, Pablo Properties hopes to complete the $32 million project by the summer of 2020. Pablo’s plans for Block 7 feature a two-story children’s museum with a “green” roof that would allow children to play outside, something that isn’t possible at the museum’s current site, 220 S. Barstow St. The museum would be on the south end of the block along Galloway Street, with a public plaza just to the north. According to Pablo Properties, this courtyard will include a water feature, green space, outdoor seating, and access to underground parking. The museum will be adjacent to a 125,000-square-foot office building that would include first-floor retail space for the likes of a bank branch or a small grocery store. 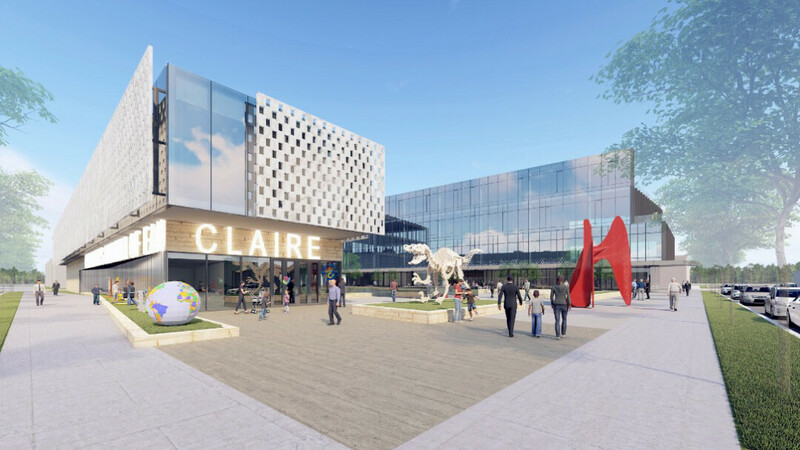 Pablo Properties – which is behind the renovation of the Lismore Hotel and the construction of the Jamf office building – was one of three developers who included the children’s museum in their proposals for Block 7. The museum had begun eyeing a new site as its attendance and membership have soared in recent years.